Millions of people suffer from chronic or acute pain every year. According to the Institute of Medicine, it costs society $560-$635 billion dollars a year for treatment and loss of productivity at work. Back pain, nerve pain, cancer pain, migraines, or any other number of painful ailments can negatively affect suffers’ quality of life, sometimes on a daily basis. In support of those suffering from pain, we want to educate the public on how people are impacted by pain and what we may be able to do to help them. 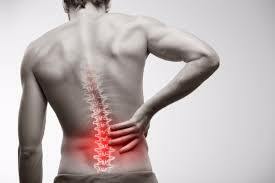 Musculoskeletal pain is something that people can face after a car accident or a sports injury. Sometimes the usual anti-inflammatory medication may not be enough to get rid of the pain or it may cause some unwanted side effects like upset stomach. Patients can seek out chiropractic care to help with back or neck pain and even headaches. 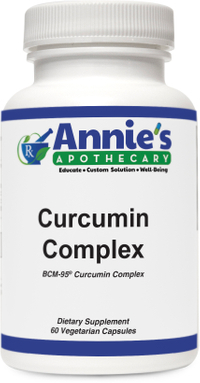 Some supplements that may help with joint and muscle support are Annie’s Curcumin Complex and SynovX by Xymogen. Fibromyalgia is one of the most common musculoskeletal conditions characterized by muscle and joint pain and fatigue. This pain can be so crippling that it can lead to depression and isolation. Unfortunately, women are ten times more likely to get this disease than men. Exercise is an encouraged form of therapy for fibromyalgia. A treatment option that may be less well known is the use of the female hormone progesterone. Used topically in a cream, such as Progensa can be applied to the painful area(s) for pain relief. We can also compound a specific strength of progesterone cream or other dosage form just for you with a prescription from your doctor. Progesterone has also been used to help with the sleep in these patients. Studies have found that compounded low dose naltrexone may help reduce chronic pain in patients with different autoimmune diseases. Many people suffer from diabetic neuropathy and peripheral neuropathy. Nerve pain can be described as a feeling of numbness, tingling, burning pain, or even muscle weakness. Supplementing with certain B vitamins (B12, B6, and B9 (folic acid)) along with Acetyl-l-carnitine, and alpha lipoic acid may help ease nerve pain. Several medications used to treat nerve pain may have unwanted side effects. We can compound pain cream specific to your needs that can be applied topically where it hurts the most. Migraines and headaches can be debilitating. They can be triggered by stress, fatigue, or even certain foods. It is important to keep a log of what you ate or did when the migraines occurred so you can try to avoid those triggers in the future. Supplementing with magnesium and vitamins B6 and B2 may help prevent headaches and migraines or at least decrease the frequency. Several other painful health conditions such as lupus and multiple sclerosis have been linked to gut health. For instance, leaky gut syndrome is a condition when undigested food particles, bacterial toxins and germs can pass through the gut wall and into the bloodstream. This in turn causes persistent inflammation throughout the body. The human microbiome project has identified the microorganisms which are associated with healthy humans. Changes found in this microbiome can be linked to different disease states. Since the majority of microbes live in the gut they have been linked to several different gastrointestinal diseases such as Crohn’s disease and ulcerative colitis. We offer several pharmaceutical grade supplements like IgG 2000 CWP, Florabalance Max, and GlutoAlomine that may help support overall gut health by assisting in repair of tissue in the gut, boosting the immune system and balancing the microbial environment. Let us know if you are not getting adequate relief from your current pain therapy. We’d be happy to talk to you and your doctor about compounded pain creams we can provide, as well as, supplements. We want to help alleviate your pain, so please call or come visit us at Annie’s Apothecary.